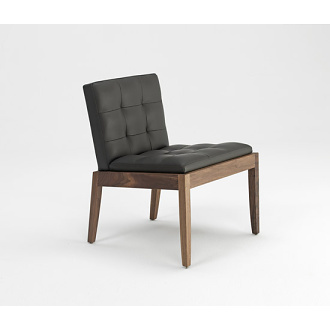 The chair has been christened Plateau, since its right armrest has a wide flat surface on which the user can place his/her Dry Martini, remote control or even a laptop. 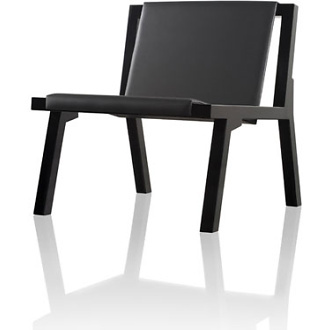 Plateau is a lounge chair for our times, designed for situations where work and leisure blend together. 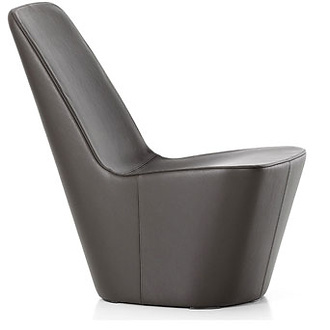 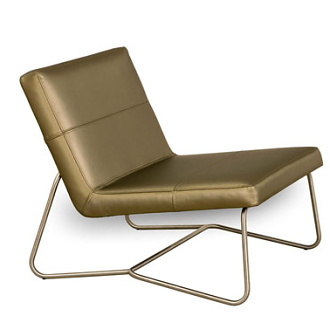 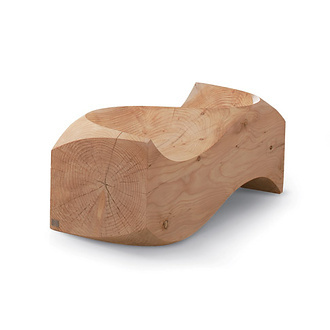 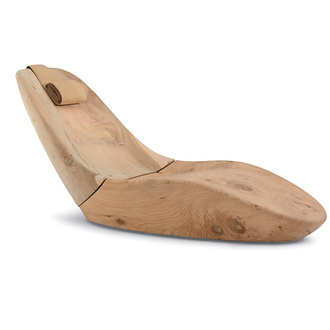 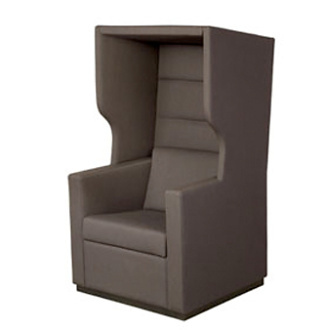 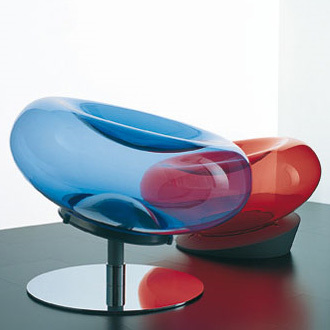 It is ideal for lounge and reception areas as well as for the home. 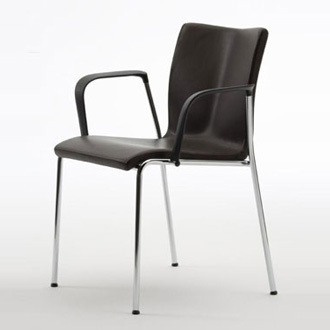 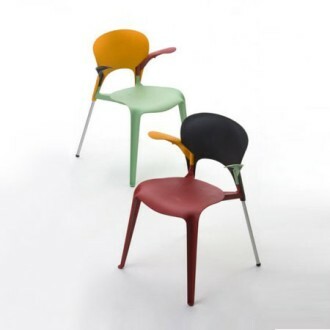 The chair is 120 cm tall and set on a highly finished aluminium base which is available with or without automatic return swivel. 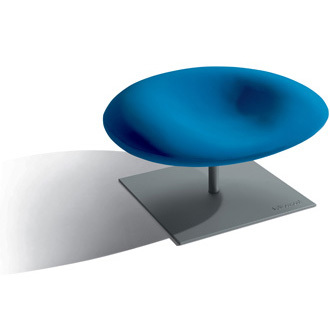 Plateau is manufactured in cold foam on top of hard foam, which creates a very comfortable seat. 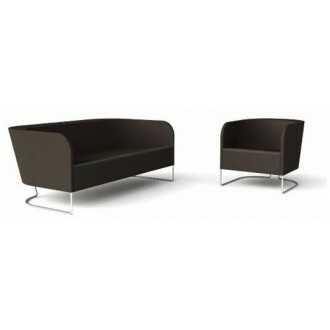 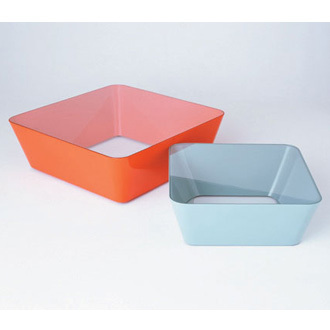 Plateau is available with leather or textile covers. 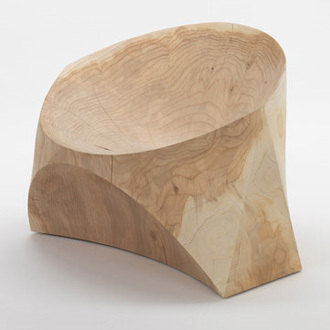 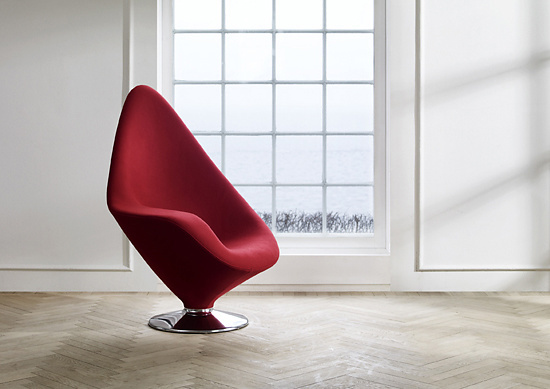 Its challenging organic shape has led to new production processes that minimise sewing. 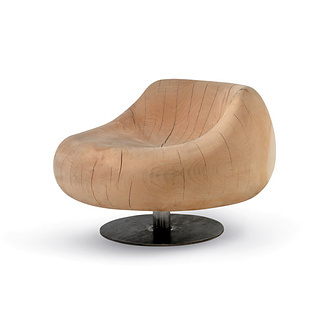 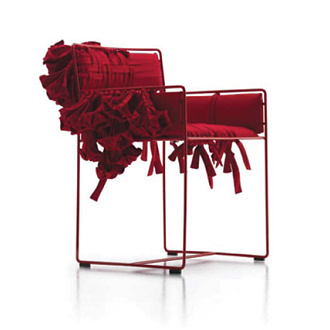 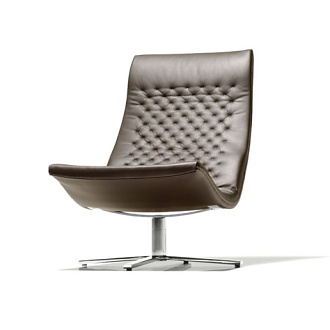 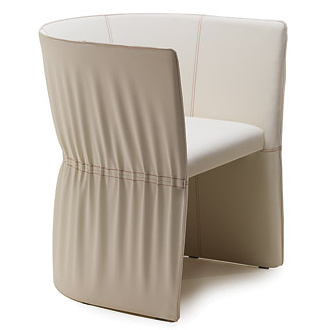 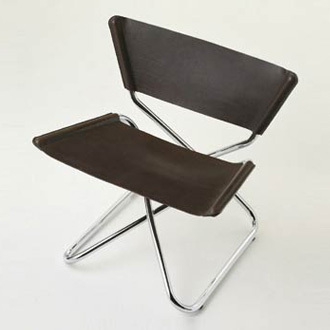 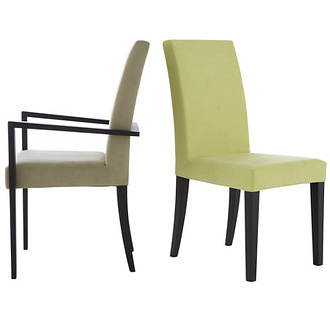 As a result, the chair only has two pieces of textile or leather: one for the seat and one for the backrest. 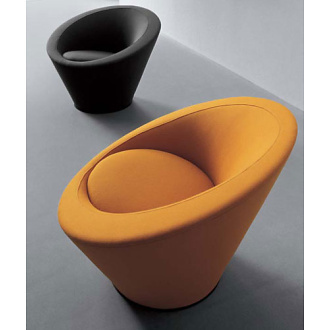 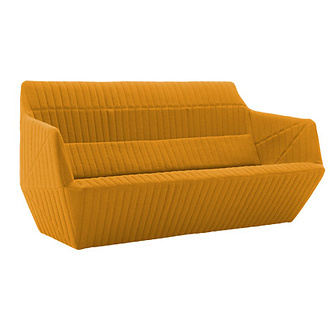 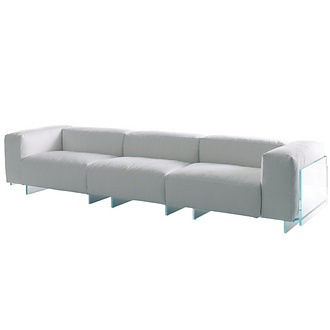 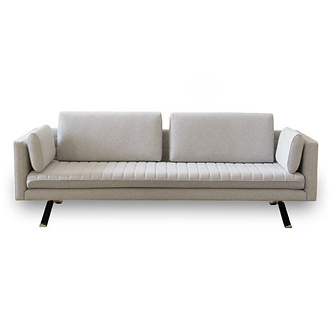 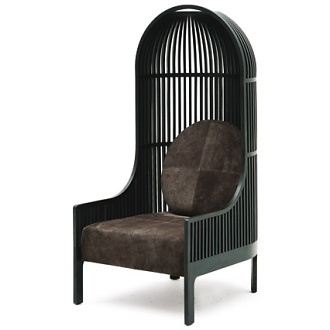 Dimensions: height 120 cm, width 88 cm, depth 93 cm and seating height 36 cm.